Companies have different employees for different payment duration. Moreover, no firm treats any of its employees the same way when it comes to payments. That’s why Rate Sheet Templates are helpful. If you have a firm with many different employees working under different rates and duration, you should find this model quite helpful. 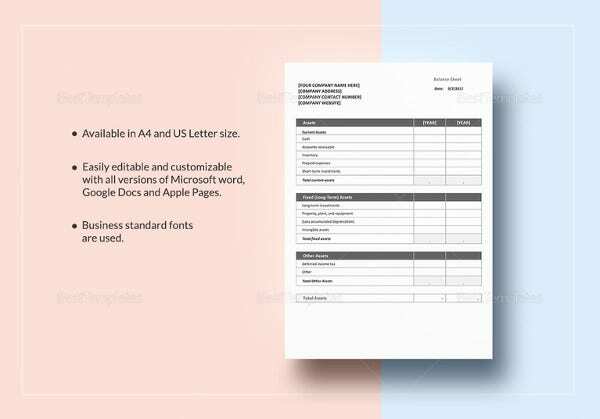 If you would like to use this template, all you have to do is to download, customize, and start using it for your business. You may also see Inventory Spreadsheet Templates. How much would you like to charge for the services that business wants to start offering? 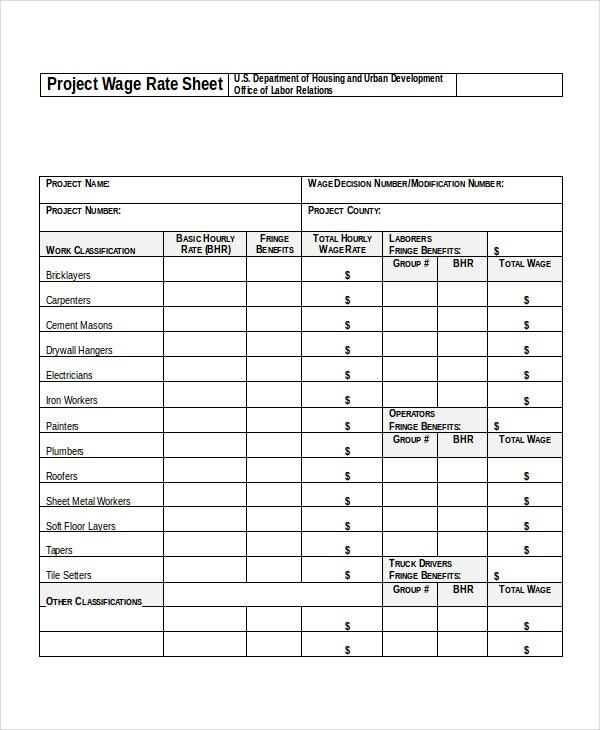 Many people use different tools for the job, but a rate sheet template is quite a simple tool that you can use. 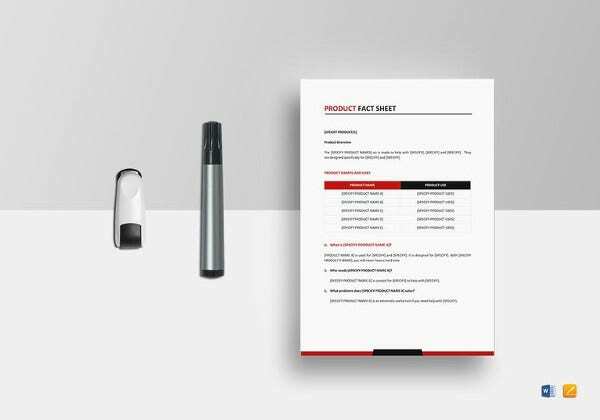 You may also see Information Sheet template. Clients will most likely ask you to name your price for a job. 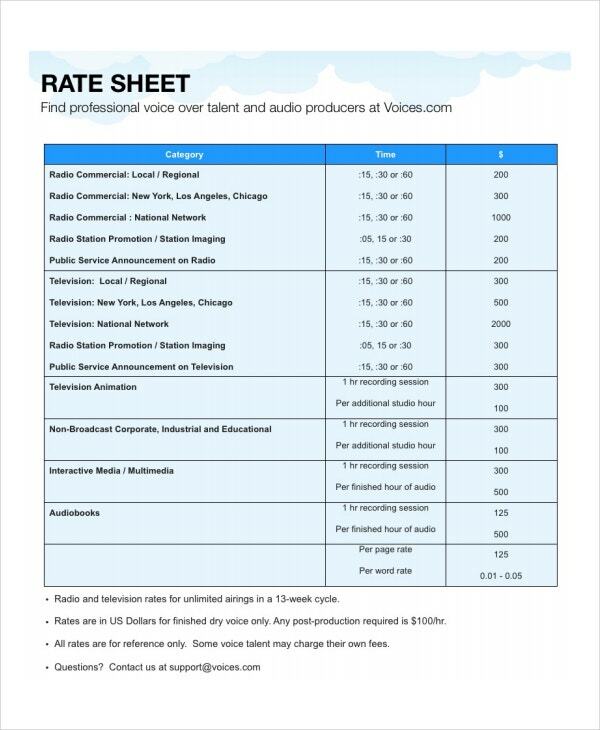 You can use a rate sheet template to write your quotation, and then share the ratings with the client who is interested in your labor. If you hired some employees on an hourly payment basis, you will need to have a list of their rate sheets. This will help you have the accurate figures on your table, making the process of making payments easier. 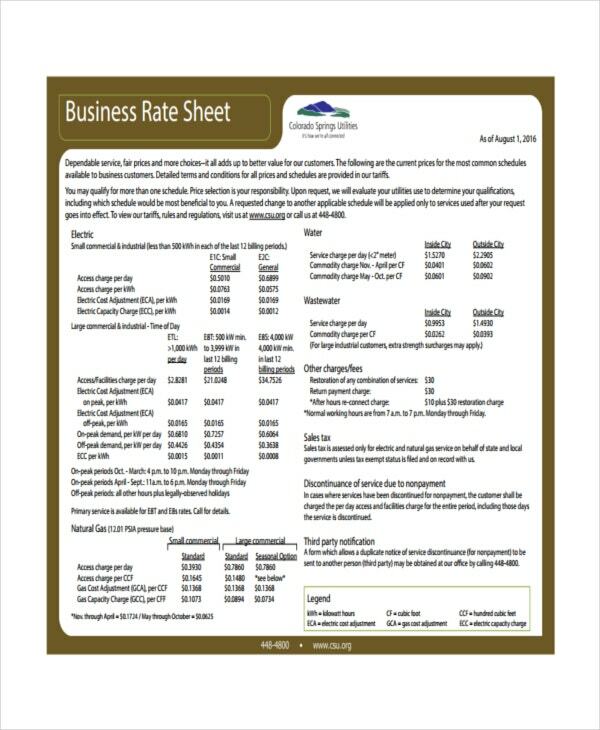 You can use this template as a guide; for it will help you create and customize a new rate sheet for your business. Also, you can edit the headers (if any) and the footer (if any) and replace the content of the template with yours. If you are providing consulting services, you must be clear about the structure of your payments. Consulting rates are often fixed although some people vary their charges depending on the kind of consulting the client wants. 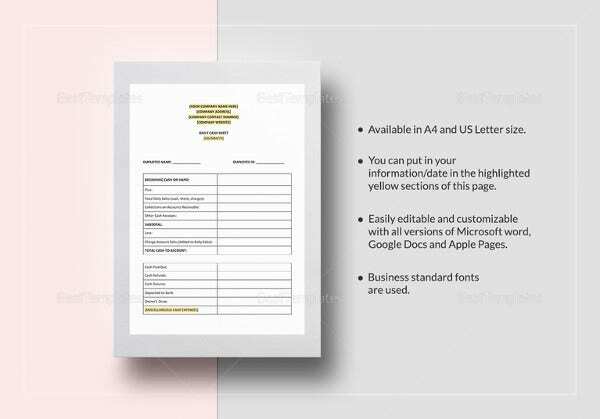 > What is a Rate Sheet Template? 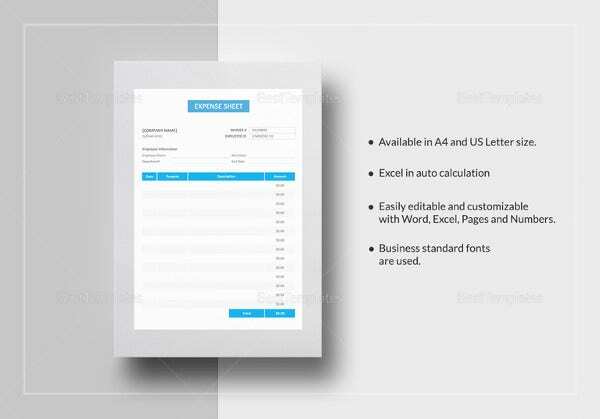 The art of developing rate sheet templates started after designers noticed the need for the design. Because they believed that the document would help businesspersons to save a lot of time, developing the model was, of course, necessary. Since the introduction of these templates, their significances has become unbeatable. You may also see Bid Sheet Template. 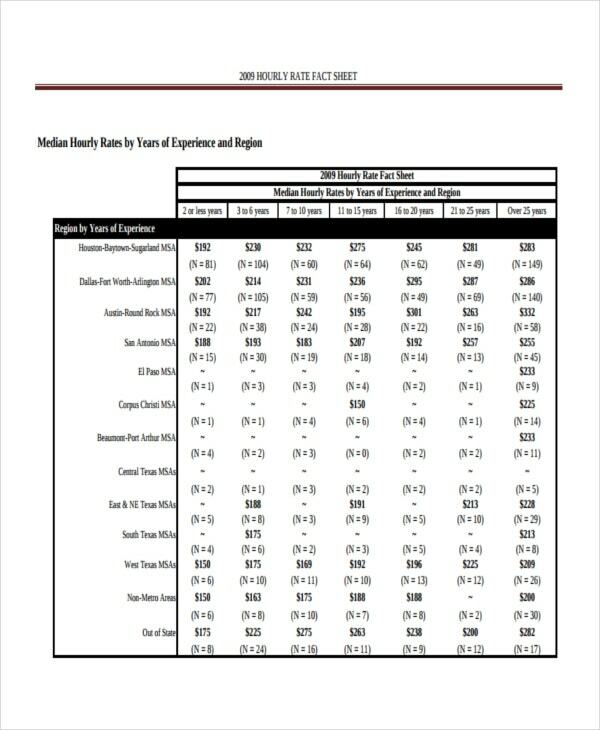 The user base of the rate sheet templates continue to increase, and the value people have put on these documents are unimaginable. 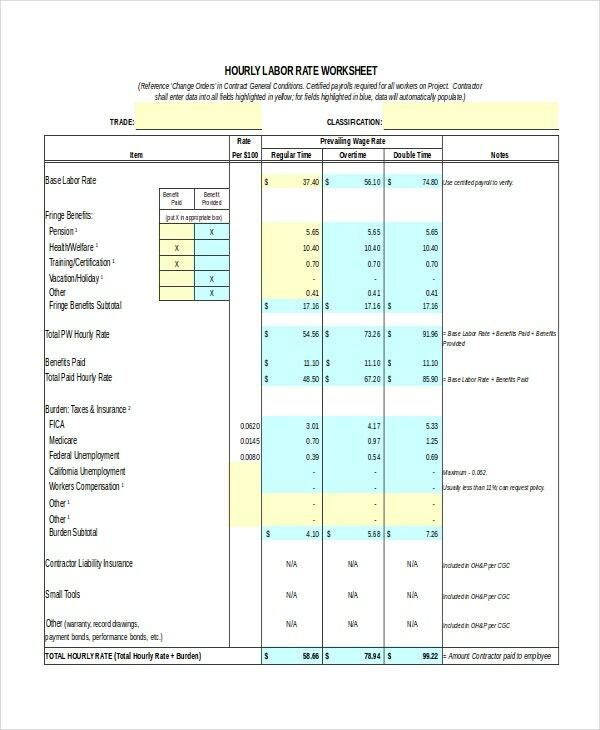 It is important to remember that rate sheets are free to download; moreover, you can edit the layout and personalize the design. 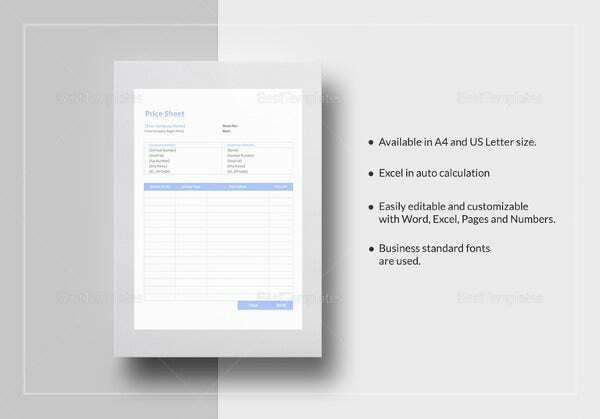 > What are the Benefits of Rate Sheet Templates? 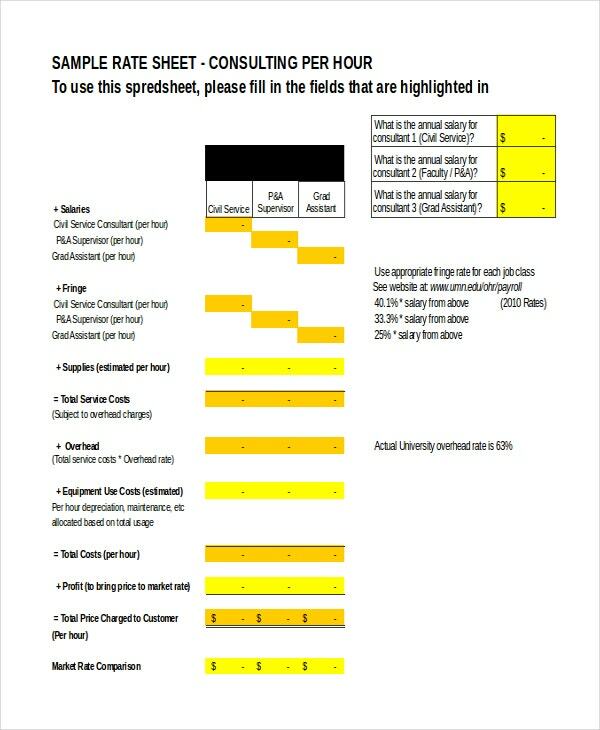 Rate sheets templates are great communication tools for service providers. Before a client can hire your services, they will first ask you to provide them with your quotation for the job. 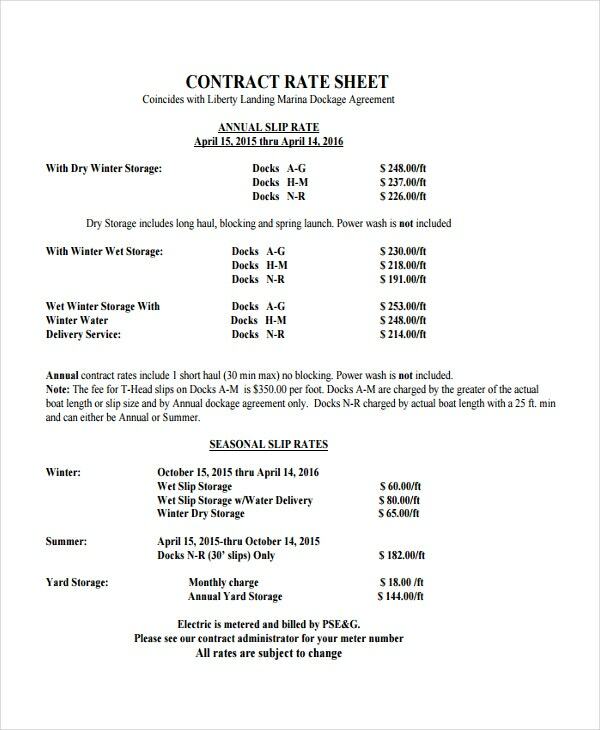 As such, you can use the rate sheet template to outline your rates depending on the categories of services that you provide. You may also see Sheet Template. 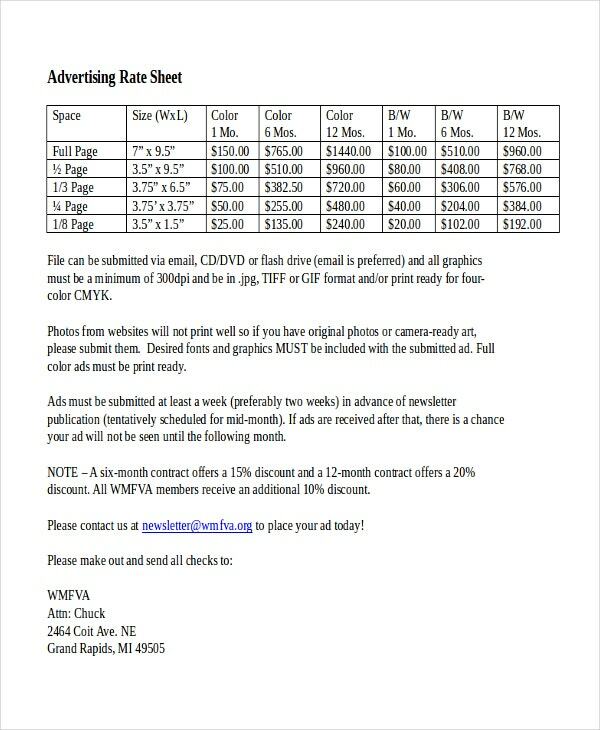 > Who Should Use Rate Sheet Templates? 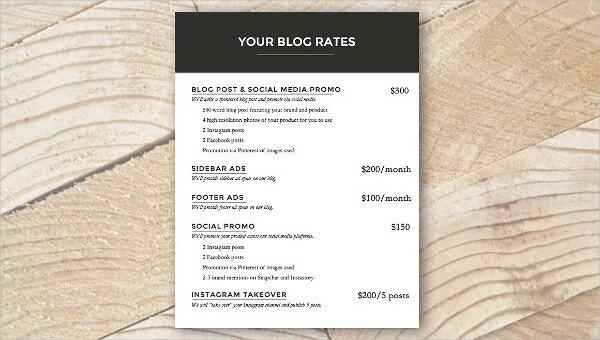 People often get confused about who should use rate sheet templates. Many think that the document is only for businesspersons who have employees. Others think that the document is for those who provide services to an array of clients. However, it is important to understand that anyone can use this template. 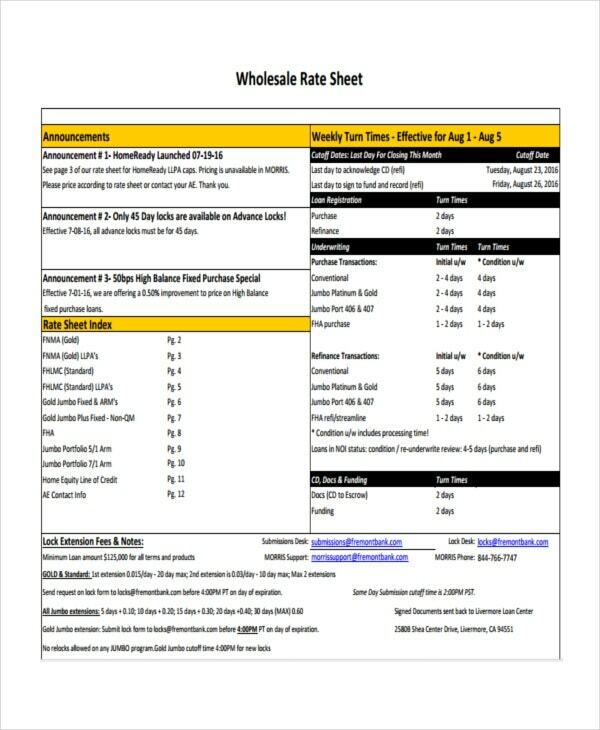 Well, as long as you are providing services to clients or have employees that you must pay after some time, the rate sheet template is going to help to make payments. You may also see Google Spreadsheet Template. Understand this: if you have many people expecting payments from your company, you cannot determine the exact rates for each individual, off the top of your head. That is why you need a rate sheet. 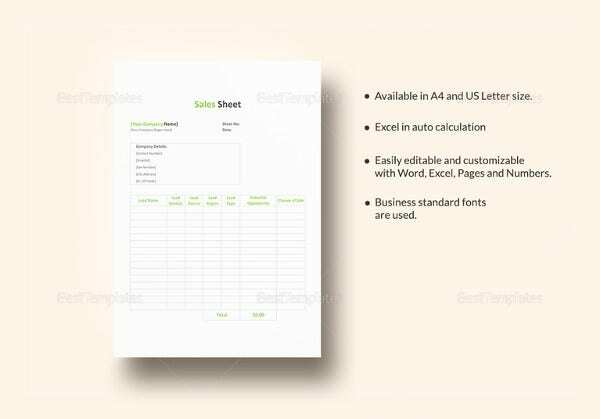 The template provides you the exact rate information that you need to run your business without difficulties.